Investigation of functional brain connectivity patterns using functional MRI has received significant interest in the neuroimaging domain. Brain functional connectivity alterations have widely been exploited for diagnosis and prediction of various brain disorders. 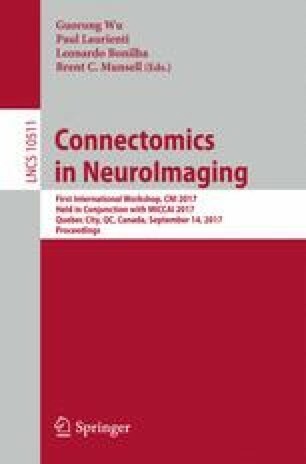 Over the last several years, the research community has made tremendous advancements in constructing brain functional connectivity from time-series functional MRI signals using computational methods. However, even modern machine learning techniques rely on conventional correlation and distance measures as a basic step towards the calculation of the functional connectivity. Such measures might not be able to capture the latent characteristics of raw time-series signals. To overcome this shortcoming, we propose a novel convolutional neural network based model, FCNet, that extracts functional connectivity directly from raw fMRI time-series signals. The FCNet consists of a convolutional neural network that extracts features from time-series signals and a fully connected network that computes the similarity between the extracted features in a Siamese architecture. The functional connectivity computed using FCNet is combined with phenotypic information and used to classify individuals as healthy controls or neurological disorder subjects. Experimental results on the publicly available ADHD-200 dataset demonstrate that this innovative framework can improve classification accuracy, which indicates that the features learnt from FCNet have superior discriminative power.